"Shout out to staff of LATAM"
✅ Verified Review | Santiago-Chile to New York. First they allow me to change the date of my 92 years old mother's flight due to an accident, for a very small fee. Then my mother had a problem with her visa, so she couldn't travel the second date, They put her on a waiting list for a third time. The day of the flight she was assisted to her seat, but it was the wrong seat, so my mother was removed to her right seat which it was already taken. The staff then was extremely nice and acomodated her on business. Shout out to the staff of LATAM. 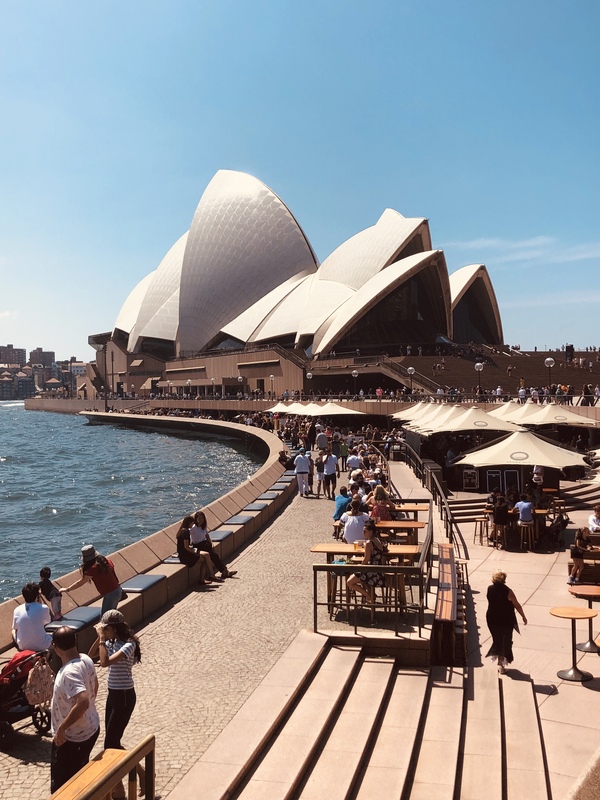 ✅ Verified Review | Great plane, woeful service from Sydney to Rio de Janeiro via Auckland and Santiago. 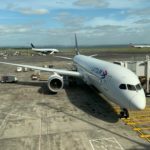 The only good thing about my LATAM experience was the plane on the Auckland-Santiago route. Great plane, clean, modern, great technology and comfortable. The booking process was painful with multiple problems on the which continued when I tried to book a vegetarian meal (Painful and lenghthy experience) and check in online (website malfunctioning). The first leg Sydney - Auckland was with Jetstar who LATAM seemed to have not informed them that I had connecting flights and the counter staff had no idea how to deal with this, and the gave me a boarding pass for the Santiago leg and said to go to the transit, which I did and then found out that my baggage was lost in the airport. Jetstar staff all gone and LATAM staff had no idea or ability to contact Jetstar, but this was eventually sorted out. 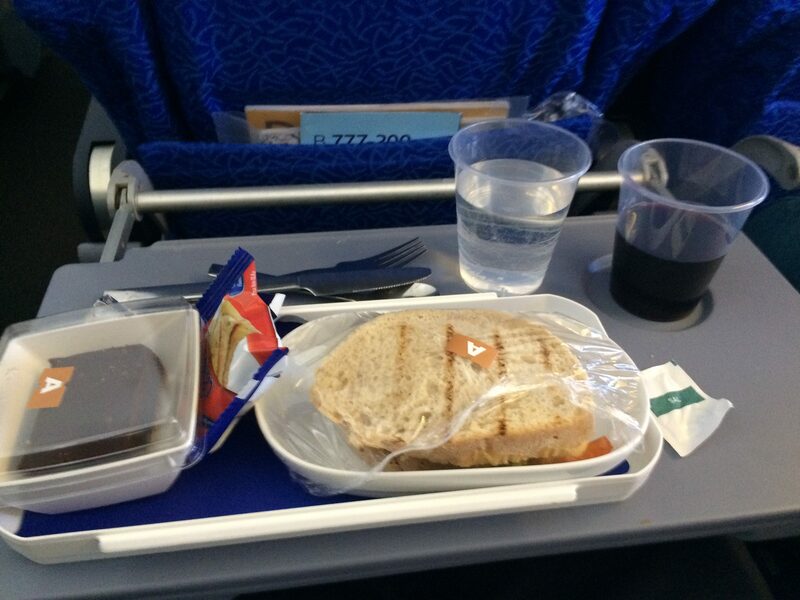 The food on the flight was pretty horrible, cold soggy uninteresting meals. Staff were nice though. when I got to Santiago it was on time but the chaos and confusion in the airport the LATAM desk overrun with angry peopel shouting, people jumping the queue staff confused and people missing connecting flights etc - it was awful. Eventually after two hours of that mess I got my boarding pass then the next plane was delayed by over two hours with no LATAM staff available or interested to help. The gate staff were overwhelemed with crowds of angry and frustrated people in overcrowded gates with so much chaos, in a filthy airport that just was not coping with the volume. I gave up trying to ask any staff what was going on and to find things the onle info I got was from shop keepers. The worst customer service ever. "I had to cancel my trip"
✅ Verified Review | 5 months of waiting and I do not get my money back from Latam. My wife and I bought our tickets in August 2016 to fly March 2017. Being Peruvian she paid less. Being a tourist I had to pay a complete fare but my ticket was refundable. I had to cancel my trip. I telephoned Latam a month in advance and they assured me there was no problem and asked me to wait 4 weeks to get the refund. Nothing happened. So I called back in April and they said the ticket had already been refunded to my credit card. I checked and this was not true. Called again and they told me it was an error. They were going to investigate and gave me a new "case" number. Another month and no news. Finally they changed again my "case" number and promised to solve the problem. I have already received 4 case numbers and spent 5 months calling, writing. Nothing at all except for: "we understand and will get to you as soon as possible". What can a tourist do? ✅ Verified Review | Sao Paulo to Bogota on the first leg of this flight, at least I tried. Pilot needed to cancel the take off twice due to "technical problems" with the aircraft. Aircraft set on the tarmac for over three hours to be repaired, just to return to the gate again after having undertaken a second take off attempt. The problem was apparently not solved. Eventually the flight was cancelled completely and passengers were requested to disembark. No information from the ground staff and what is going on, and even worse, all the information that were given were only given in Portuguese language. Please note that this was an international flight from an international airport. Not acceptable. All in all this was a horrible trip with an unprofessional and incapable airline that has cost me almost a full day of my vacation. Two out of ten for LATAM organizing a decent hotel and snacks and drinks without further hassle and for the decent in-flight entertainment that helped passing the time (if it was operational, on some seats it froze and thus seized operation). "my niece was denied her trip"
✅ Verified Review | Santiago to Montevideo. LATAM's customer service agents are either very poorly trained, have been assigned no real decision-making authority, or both. The result is that the simplest, most reasonable and most straightforward request, if it happens not to appear in their manual, is denied. Yes, with a polite apology, and even with recognition of how very unfair it is to deny the request. But denied it is. My own experience involved making a typo on my Smartphone on their online reservation system. Booking a flight for my niece, I clicked on the wrong date. I couldn't fix it online even though I caught it within five minutes, so I phoned. First level of customer service: "That's too complicated for us". Escalated to second level of customer service: "I'm not authorized to change that". Escalated to third level of customer service: "What you request is very reasonable, but I will need to forward the case to my supervisor". The Supervisor then didn't get back to us until after the (incorrect) flight had taken place. I was out $300 and my niece was denied her trip. If you must use LATAM, book your flight via a travel agency, so that you don't ever have to deal with their customer service personnel. "choice of food and drinks"
"very poor quality of food"
✅ Verified Review | Lima to Santiago de Chile. Very good inflight attention by excellent cabin crew but service let down by very poor quality of food (a snack), and also by indifferent ground attention at Lima airport. For a place with such a big operation it is extraordinary they do not provide a lounge for premium passengers. I was in transit and no one told me of this change so I went to the lounge I used them last time I flew with them, only to be told to go miles away to gate 21 to get a voucher, but on arrival there was told to go back from where I started and take lift downstairs to collect it. No effort was made to make things easy for a passenger or to remedy the inconvenience they caused by not telling me anurjign, someone who paid a lot to travelling business with them. Tue girl who handed me the voucher for 20 US dollars rude and defensive when I told her no one had told me there was no lounge. "experience clouded by dreadful food"
✅ Verified Review | Flew LATAM from Bogotá to São Paulo - Guarulhos. Incredibly friendly and efficient cabin crew but overall experience clouded by dreadful food (the beef was really hard), really awful sparkling wine and the lack of small things like a toothbrush for an overnight flight, which was close to 6 hours. Credit goes to their 3 choices for the main course and some of the best cabin crew I have come across. 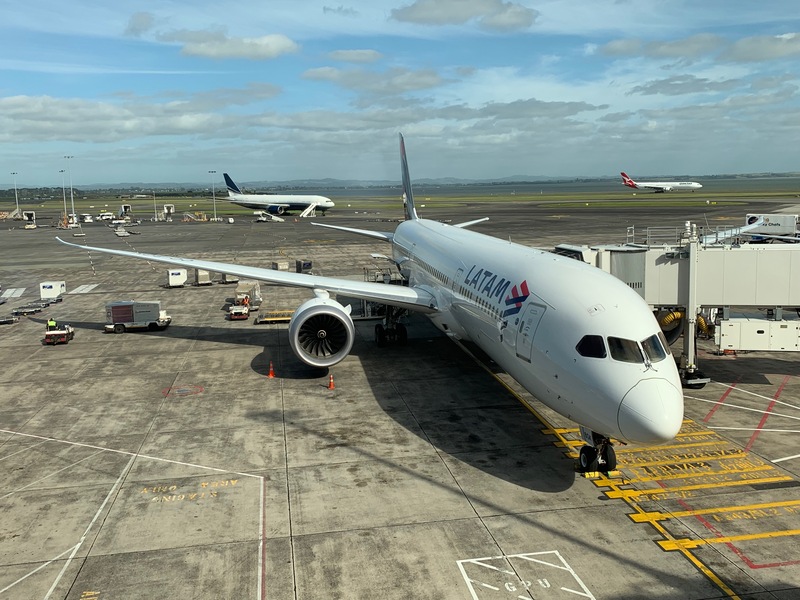 "Poor customer service and misinformation"
We travelled home to NZ as a family of 4 with LATAM Airlines. My daughter is gluten and dairy intolerant and requested a meal to suit by phone prior to our departure. 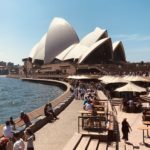 She had 5 attempts to get her request to be understood and finally was told there would be no meal service for our short haul flight from Sydney to Auckland, despite it being listed as part of our ticket price. The flight counter on departure said there would be a meal and special needs catered for so we didn't purchase goods at the airport. 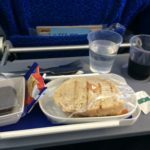 In flight - meal for everyone- surprise! But nothing for her. Hence she got to watch everyone around her eat while she only had the memory of breakfast 6 hours earlier to comfort her. Poor customer service and misinformation. ✅ Verified Review | For a flight from Madrid to Frankfurt, I cannot imagine that service on LH or IB even comes close to what LATAM offers. This 787 aircraft arrives in Madrid from Santiago, Chile and continues on to Frankfurt. This is a true international business class product with full lie-flat seats and catalog of AVOD. The crew was outgoing and personable, the meal-snack was delicious, and the Chilean sparkling wine was delicious. My only caveat to a perfect flight was that LATAM does not fund the use of passport and security fast track on this route. That would not be a problem if they informed business class passengers of this anomaly at check-in. This would avoid the embarrassment of being turned away. Except for this, the flight was perfect. I invite readers to check out LATAM's fares on this route: you will be amazed.